CNAs in the Bronx NY play an integral part in the healthcare system by caring for seniors and those who are sick or shut-in. CNA training is an essential part of this career path as most candidates enter the field with no prior medical training. The New York State Department of Health oversees the certification of nurse aides within the state. Prospective CNAs must complete an approved training program, which will help them prepare for the Prometric administered competency exam. Training typically lasts no more than 90 days and must include classroom training and a clinical externship. To qualify for employment within the state, nurse aides must pass a criminal background check and physical exam. The New York State-approved nurse assistant training at Phoenix Nurse Aide Training Center provides students with 125 hours of classroom and lab skills training. The program is open to any individual 17 years and older with no prior criminal convictions. Applicants must also provide state ID and pass a physical exam. Nurse instructors use lectures, lab demonstrations, video, computer drills and a clinical rotation to deliver course content. The clinical rotation takes place at an approved healthcare facility. At the end of the training, students are well equipped to take the Prometric administered nurse aide evaluation. Day, evening and weekend options are available. Tuition includes textbooks, supplied and supervised clinical training, and an affordable payment plan is available for all students. Contact the school for more information on the cost of training. The CNA training program at ABC Training Center prepares students for entry-level employment as a Certified Nurse Assistant. The curriculum combines 96 hours of classroom theory with an exciting 30-hour internship at some of New York’s leading nursing homes. Applicants without a high school diploma may enroll in the program after successfully passing an entrance exam. Weekday and weekend class schedules are available. The weekday schedule runs for 8 weeks with morning (9 am to 12 pm) or afternoon meeting times (1 pm to 4 pm). There are two weekend schedules: Saturday and Sunday from 9 am to 4 pm for 8 weeks, or Saturday or Sunday from 9 am to 4 pm for 16 weeks. A fast track 4-week schedule is also available. The cost of the program is $1,750, including registration and textbook and is payable in 8 weekly payments of $196.25. The Continuing Education Department at Hostos Community College equips students with the skills that employers need. Applicants must satisfy the prerequisites, complete the entire registration process, and meet all the program requirements. A high school diploma or GED is required for entry. Students must attend an orientation session to complete a screening test. Only students with a minimum score of 8.0 in Reading will be admitted to the program. CPR certification and completed medical clearance are other requirements for entry. Apart from developing the occupational skills for employment, students will also develop English literacy and basic study skills. Course topics include fundamentals of patient care and a clinical experience at a recognized health care facility. Morning and evening sessions are available. Tuition for the program is $995. Big Apple Training prepares nurse assistant students for a career in the fast-paced world of health. 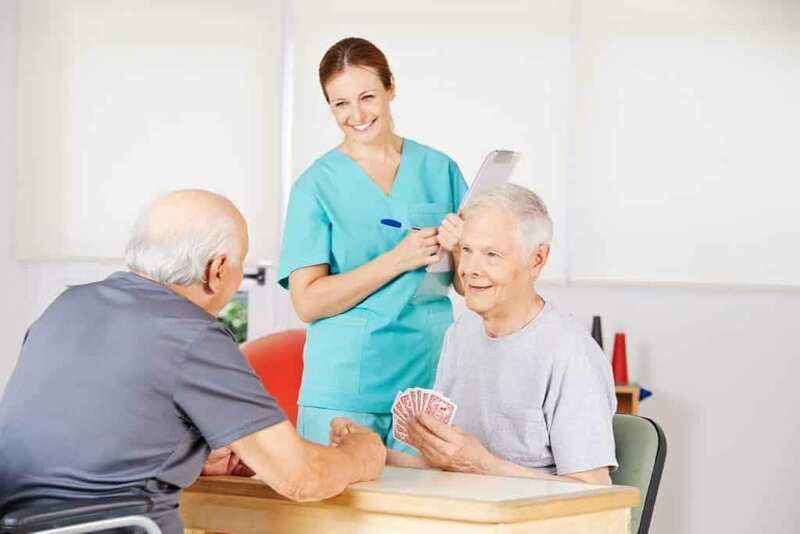 The program is approved by the New York State Department of Health and includes classroom lectures, demonstration and hands-on skills and a supervised clinical experience in a long-term care facility. Areas of study include vital signs, anatomy and physiology, infection control, basic nursing skills, communication and interpersonal relationships, personal care skills, restorative techniques, documentation and reporting, and hospice care. Applicants do not need a high school diploma to enroll in the program. A physical exam, TB clearance, immunization may be required to participate in the clinical experience. Upon certification, graduates are eligible to practice in long-term care facilities.